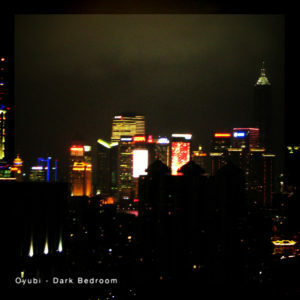 Oyubi flexes a bit of range on newest song “Dark Bedroom.” The young producer has earned a lot of looks thanks to their take on Chicago-born juke music in the last couple of years, but for this post-midnight number they jump across the pond and take cues from British 2-step. “Dark Bedroom” drifts between intimidating and dreamy, sounding more apt for a 3 a.m. stroll around Shibuya’s backstreets more than anything else. A nice change of pace that shows how much variety Oyubi is capable of. Get it here, or listen below.